http://www.livius.org/ha-hd/hannibal/alps.html. This site gives the chronology of the alpine crossing but mistakenly states the subject has “no importance.” Identifying the actual route taken by the Punic Army will allow archaeologists to focus on likely sites from which the recovery of artifacts will provide new and important data on Carthage and its military arm. http://www.damienlewis.com of Damien Lewis, bestselling author of Operation Certain Death, Cobra Gold, Bloody Heroes and Slave. Damien is a journalist with experience in major war and disaster zones, BBC-WWF Wildscreen Award Winner as well as the bestselling author of several fiction and non-fiction books. His narrative exploits of the SAS, elite soldiers of the British Army’s 22nd Regiment, have won him international acclaim. Damien’s review of The Warmaker paints the Carthagianian Corps of Hannibal as a forerunner of the elite SAS, a point well taken after studying the Punic Wars for two decades. http://ancient-coins.com/articles/carthage/carthage2.htm. This site provides credible information and reference related to what is known of Carthaginian coinage. The site provides a forward, overview and chronology linked mainly to treaties and warfare. Hannibal in the Alps, 2006, Archaeolog, Stanford University, http://www.patrickhunt.net/ . 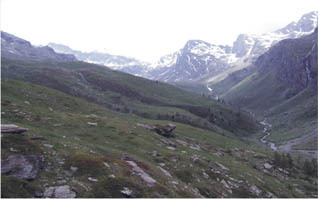 Professor Hunt favors the Col du Clapier (northern route variant) as the ultimate col of passage of the Punic Army, a vector not supported by the environmental evidence (see Mahaney, 2008, Hannibal’s Odyssey: Environmental Background to the Alpine Invasion of Italia, Gorgias Press, Piscataway, NJ, 221 pp.